Orlando has a significant supporting role in Joe Swanberg's latest movie "Digging for Fire".The Wrap is reporting that Swanberg has already wrapped production! The Wrap is reporting that Swanberg has announced the cast for his next film. Nope, rather he’s already wrapped production (yes, he works at a super fast pace. The film is called “Digging For Fire” and stars Anna Kendrick, Sam Rockwell, Rosemarie DeWitt, Jake Johnson, Brie Larson, Orlando Bloom, Jenny Slate (“Obvious Child”) and comedian Mike Birbiglia (“Sleepwalk With Me”). Uh, hello, we call that an awesome cast. Damn (the trade says, Johnson and DeWitt star, while Rockwell, Larson and Bloom have significant supporting roles and Kendrick, Birbiglia and Slate have smaller roles, fyi). Swanberg evidently co-wrote the script with Jake Johnson, so clearly the "New Girl" actor felt the same about their previous collaboration. Plot details are under wraps. Ben Richardson (DP for “Beasts Of The Southern Wild” who also shot “Happy Christmas”) shot the film on 35 mm. Johnson actually revealed some of this a few weeks ago, but many (including ourselves) failed to notice. “I’m working with Joe [swanberg] again this summer,” he said in March of this year. “We’re doing another movie with Sam Rockwell and Rosemarie DeWitt and Brie Larson. There will be a lot more beer drinking in it.” Well drink to it, that’s for sure. A nod to the Pixies song, maybe? Veteran indie filmmaker Joe Swanberg has wrapped production on his latest movie “Digging for Fire,” which has added Anna Kendrick, Orlando Bloom, Jenny Slate and Mike Birbiglia to previously announced cast members Jake Johnson, Rosemarie DeWitt, Sam Rockwell and Brie Larson, an individual familiar with the project told TheWrap. Johnson and DeWitt star in the film, while Rockwell, Larson and Bloom have significant supporting roles. Kendrick, Birbiglia and Slate have smaller roles in the film. Swanberg directed from a script he co-wrote with Johnson, and the duo also produced along with Alicia Van Couvering. Plot details are being kept under wraps, but one interesting nugget of information is that Ben Richardson (“Beasts of the Southern Wild”) shot “Digging for Fire” on 35mm. Thank you Rene for bringing the news over about Orlando being in another film. I didn't even know he was doing a movie. The movie sounds exciting and I love the title Digging for Fire. 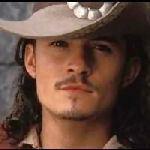 It sounds like Orlando has a significant supporting role in the film. I agree with you Kim on getting excited to meet Orlando's new character. I hope this film will be shown in lots of theatres so I will get a chance to see it. Thanks, Rene, for the update. 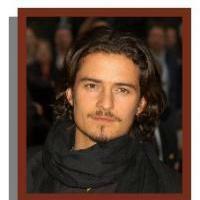 Congratulations to Orlando on his role in "Digging for Fire." Thanks Rene, this is good to hear. If they have finished filming, I don't understand why the story is a complete secret? With a title like that it could be anything! Is this going to be another small film that most of us never see? Good question, Tahiri. Sadly, I think "Digging for Fire" is probably just that -- a film most of us will never get to see. I also doubt it will get wide release - probably the film festival circuit and possibly IFC or Sundance channels. Still it's a good sign that Orlando is working. We'll hope for the best. Wait and hope -- we can do no less. I hope we get to see this film. It is so nice to see that Orlando is working on a regular basis. I very much hope that this one will appear on DVD so those of us living in the wilderness will have a chance to enjoy it. I stumbled over the DVD of Zulu in the local media shop while on holiday in France this week. I was so happy as they do not show it in the theatres here on the Balkans. Looking forward to watching it tonight! Dati, you are so lucky to get to see Zulu on DVD. I know right now it is only available for Region 2 which means it wouldn't play on my DVD player. I hope Zulu will be released soon on DVD for Region 1. 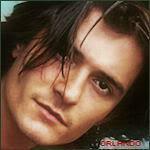 I really want to see Orlando as Brian Epkeen. I also hope Digging For Fire will be available on DVD. 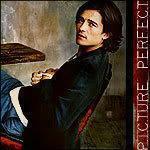 It's great that Orlando is doing what he loves because he is very talented at his craft and I have loved watching all of his films. Digging for Fire is mentioned in an article about Amy Schumer and Brie Larson in the Daily Mail. Larson, on the other hand, recently finished filming Digging for Fire opposite Orlando Bloom and Anna Kendrick as well as The Gambler with Mark Wahlberg, John Goodman and Jessica Lange. Both films are expected to hit theaters in 2015. That's a nice little tidbit! Even if it's just to confirm that it will be out next year. We'll just have to wait and see as to when, and more importantly, where. Thanks, Rene, for the info about "Digging for Fire." I wonder what kind of release the film will have. Here's hoping it's a wide one. Thank you Rene for bringing over the information about the film Digging for Fire. I would love to see this film and hope it plays in a lot of theatres and not just select theatres. When you think Joe Swanberg, movies like Uncle Kent and Hannah Takes The Stairs immediately come to mind – incredibly independent efforts that helped launch a “mumblecore” movement with the help of similar filmmakers like the Duplass brothers. He’s since gone on to create films like Drinking Buddies, boasting a much grander scope, but its his new film Digging For Fire that could be the filmmaker’s most cinematic departure yet. Directed by Swanberg, based off a screenplay written with actor buddy Jake Johnson, plot details have been hush-hush to this point, so I decided to find out why that was during a press interview for Happy Christmas. After revealing that filming had concluded on the project, I asked if he could comment on the kind of story his fans could expect. Joe Swanberg: It’s a love story about a husband and wife, Jake Johnson and Rosemarie DeWitt. I’m still wrapping my brain around it, so that’s the most I can say with assurance now. It’s about the pleasures and pains of building a family with someone, and maintaining the excitement of a relationship over a long period of time. It’s in line with the work I’ve been doing recently, but Ben Richardson and I, on a technical end, really pushed ourselves to make something more cinematic. Jake Johnson and I tried to tap into more theatrical storytelling. On the filmmaking end we’ve just been more ambitious. It’s a much bigger movie in some ways. From what it sounds like, Digging For Fire will be the most Hollywood-esque movie in Sawnberg’s catalog to date. While Richardson is a returning Drinking Buddies alum, where he served as cinematographer, it’s his work on the gorgeous Oscar nominee Beasts Of The Southern Wild that makes him a perfect candidate for bringing a more “theatrical feel” to Swanberg’s work. It sounds like the only difference will be how the director and company capture Digging For Fire, as a relationship drama between Johnson and DeWitt sounds comfortably reminiscent to Drinking Buddies and Happy Christmas. Starring – here we go – Johnson, DeWitt, Anna Kendrick, Sam Rockwell, Orlando Bloom, Brie Larson, Melanie Lynskey, Sam Elliott, Mike Birbiglia, and a slew of other familiar faces, Digging For Fire is showing a healthy amount of ambition. Swanberg is pushing himself outside of a grounded, gritty comfort zone in favor of a more mature, mainstream-friendly type of offering – showcasing an even wider range than expected. We’ll keep you up to date as we learn more about Digging For Fire, but in the meantime, you can get your Joe Swanberg fix by watching Happy Christmas, available on all VOD platforms right now! Thanks for providing, Rene. I have a feeling this will be a limited release film, and available to most of us via DVD only. Thank you Rene for bringing over the news about the film Digging For Fire. I hope Welshwoman that Digging For Fire will be released into a lot of theatres so that we get a chance to see it in the theatre rather than waiting for it to come out on DVD. I wonder how big Orlando's role is and what his character is like. I am looking forward to seeing this film. This sounds like an interesting film, from what little info we're getting. It also seems more and more true that not many of us will be able to see it in the theater, unfortunately. This is the path that Orlando has been leaning toward, going all the way back to Haven. He's wanting to sort of go back to get what he missed along the way, learning things he would have experienced while working on smaller projects, with his career taking off early on with the blockbusters of LOTR and POTC. Those big movies have, however, given him the freedom to choose his projects more by what will help him grow as an actor, not just what would get him exposure. Thank you for the article, Rene. Very interesting. Looking forward to seeing this one in whatever format available to me. Thanks for the news Rene. Here's an excerpt from the Chicago Tribune's interview with Joe Swanberg - you can read the full article here. In April, he shot "Digging for Fire," his largest film yet, with an Altman-esque sprawl of It-actors and indie regulars: Johnson, Kendrick, Orlando Bloom, Mike Birbiglia, Brie Larson, Sam Elliott, Sam Rockwell, Jenny Slate, Rosemarie DeWitt. ("Digging for Fire") — I shot in LA, I'm editing, I don't quite know what it is. A relationship movie. Jake (Johnson) and Rosemarie DeWitt are the leads. But it's weird for me, fairy tale-ish, mysterious. It felt like I was stretching while we were doing it. It felt good — to try new ways of doing things. It'll come out next year. Director-wise, it's kind of … the influences were Robert Altman and (Steven) Spielberg — Spielberg in the way Ben (Richardson) and I staged shots. There's a lot of camera movement. We watched 'Close Encounters of the Third Kind' while making it. We also shot it on 35 mm." Expensive to use real film, I said. "Not crazy," he said. "More than video. But it's a more expensive movie (he declined to give a budget). Altman-y in the (casting). Lot of small parts. It's the ongoing effect of 'Drinking Buddies.' Actors are curious what an improvised movie is like. It was heavily mapped out, but the dialogue is still improvised. My broad feeling is actors are bored to death. Anna (Kendrick) choosing to come back a bunch of times has helped. But I detect a trust, that they know I am not a crazy person. Actually, most of the (actors) probably didn't know me. 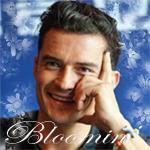 I doubt Orlando Bloom has seen my movies. Sam Elliott: We needed someone at the last minute; a call was made on our behalf, and he got on the phone. He said he that he had no idea who I was, but people I work with said he should. That wouldn't have happened three years ago. I need to maintain that level of curiosity." I asked if he gets more done shooting in Los Angeles, away from his everyday life. "I don't know, but that's a good question. I prefer to be home. Shooting in Chicago, I can go meet friends for a beer at the end of a day. But there, we shot in Larry and Emily Karaszewski's house. He wrote 'The People vs. Larry Flynt.' They stayed at one of those apartments in LA specifically for people like that (whose homes are being used for filming). That meant, at the end of the day, I would walk around and clean up. Then go to bed. I would sleep there. My career is entirely dependent on the generosity of other people." As if on cue, Josh Deth, founder of Revolution, was hovering at the table, grinning. He and Swanberg caught up. Deth had allowed Swanberg to shoot "Drinking Buddies" in the building on short notice while the facility was coming together. I thought of this when I later spoke to Peter Gilbert, a producer and director with Chicago's Kartemquin Films. "Digging for Fire" was financed by Swanberg and Johnson (who collaborated on the story), with help from about 20 Chicago investors brought together by Gilbert, who had helped Swanberg raise money for "Happy Christmas." Gilbert said: "Joe has a very Chicago way of doing business. He would come by an investor's house, or he would bring Ben Richardson or Anna, and they would all have beer, and Joe would explain what he knew about his new movie. Everyone would always get excited. I told people that big actors want to be in his films now, which definitely helps. Years ago, the idea of wanting CAA to put its actors in his movies, he would have been laughed at. But he's very smart; he's doing everything right, and, I think, keeping these actors current. I'll tell (investors), 'You're catching a young guy at his lightning time.'" Thanks, Rene. The write up has me intrigued, especially the improv part. Hoping this one comes my way.